Did you come here from a link on another website? See page bottom for latest version of this page. This site is not associated with any ski area. Use of any page means you accept the SkiMyBest Site Use Agreement or EXIT NOW. Alpine BL6 - Adults 1/12/2010. and many more clinics from Arapahoe Basin, Copper Mountain, Badger Pass, and other ski schools in prior years. 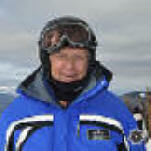 Click on How To Reserve a Private Ski Lesson with Bill Jones to reserve private lessons with Bill Jones at standard resort prices at your choice of Colorado ski area at Breckenridge, Keystone, Vail, and Beaver Creek/Arrowhead. or send a letter: Bill Jones, 637 Blue Ridge Road, Silverthorne, CO 80498. This "Clinics Taken by Bill Jones" page last modified 11/03/2017 07:21:37 AM. Did you come here from a link on another website? For latest version of this page, copy to your browser: http://www.SkiMyBest.com/skiclins.htm. Copyright © 2013, 2014, 2015, 2016, 2017, 2018, 2019. William R Jones.